Do you know the Rande Bridge? For example, although its construction was completed in 1978, it took almost three years to open up to the passage of vehicles, and in the year it was inaugurated it became in one of the longest cable-stayed bridge in the world. In those years, it supported around 18,000 vehicles daily; today, there are 50,000 who go through it every day. But if there is a relevant curiosity about this bridge is that, just below, are the remains of 14 ships that sank during the battle that took place in the estuary of Vigo in the year 1702 between the fleets Anglo-Dutch and Hispano-French in the middle of the War of Succession against the Crown of Castile. The Spanish ships, they say, came from the Indies, loaded with gold, silver, and diamonds, ready to take shelter in the estuary, when they were attacked by English ships with all their loads inside. That is why, for more than three hundred years, this has been the meeting point of hundreds of treasure hunters ready to take the booty. And there is another curiosity: Julio Verne, a great connoisseur of the area (between 1878 and 1884 visited often the city of Vigo), made the protagonist of his most famous book, Twenty Thousand Leagues Under the Sea, in the first bounty hunter of the estuary. It was here that, according to the novel, Captain Nemo provided the Nautilus with gold. 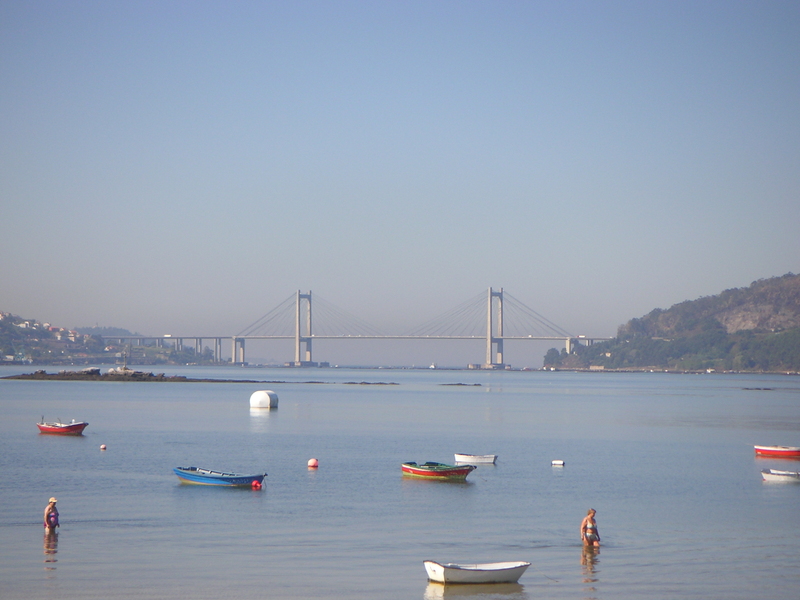 Very close to here, a little further into the estuary, is the island of San Simón. This island, throughout history has passed through different hands. During the Middle Ages, it was a monastic centre. Thus, during the twelfth century the Templars lived there and, after them, the Franciscans. In 1589 the English pirates ransacked the island and, years later, after the battle of Rande, the members of the Anglo-Saxon fleets again plundered it, as did all the towns near the estuary. After this event, the island remained abandoned until the middle of the XIX century, when it is enabled as leper house. This one closes in 1927 and in times of the Spanish Civil War these buildings were used like prison and concentration camp for prisoners who were opposed to the Francoism. This was maintained until 1943. Today, after being declared in 1999 of Cultural Interest along with the island of San Antón (to which it is connected by a small bridge), it is reconstructed and remodelled in its totality, and it takes place there during the year different activities related to culture. A curiosity about this island: it was the stage of cinema in the movie El lápiz del carpintero. With all this that we have told you, do not feel like getting closer to know these sites?